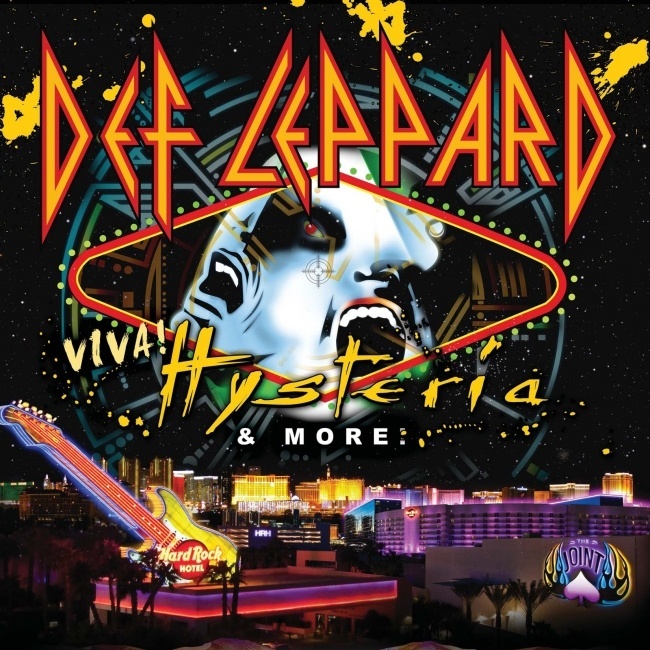 Def Leppard guitarist Vivian Campbell has talked about the show order for the VIVA Hysteria! residency in Las Vegas. As mentioned by various band members the VIVA Hysteria! residency will feature an opening set followed by the complete Hysteria album played in order. It seems likely this will be followed by a short encore (seeing as 'Love And Affection' is the last song). The now 11 show run is 20 days away and kicks off on 22nd March at The Joint when the first setlist will be revealed. Vivian also indicated heavily that 'Slang' will be played which makes sense as the reissue of that album is due for release around the same time. I contacted The Joint who say you're going to be on stage at 8pm in Vegas - never seen the Leps on stage so early ;-) Does that mean an early finish or a little bit longer set? "We're playing two sets, the first of which will differ slightly every night and consist of a few rarities. The second set will be the Hysteria album." As for what these "rarities" will be here are a few suggestions (some likely/some not) based on songs played in the last 11 years.